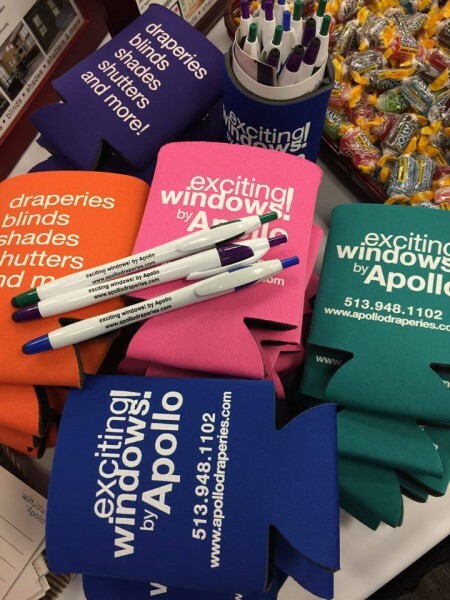 We recently completed several projects for Exciting Windows by Apollo, such as Embroidered shirts, Koozies, pens etc. Exciting Windows by Apollo is in the custom window treatment business. Speaking from personal experience they do great work as well. Here are just a few of the many benefits for choosing exciting windows! by Apollo for your window fashions needs. The window products you want in the brands you know. A world of possibilities blinds, verticals, custom draperies, soft shadings, shutters and so much more. All presented to you in your home, by a professional window fashions consultant.